Coordinating beneficiary: Chemical Institute of organometallic compounds of CNR Development of novel analytical instrumentation and methodology based upon chemical separation science, hyphenated techniques, and multidimensional detection systems. Selective, sensitive characterization and determination of thiolic compounds and proteins by fluorescence spectrometry and hyphenated techniques. Development and application of a Dynamic Surface Tension Detector (DSTD) to the study of proteins and polymers at water/air interfaces and as detection system of surfactants for FIA and HPLC instrumentation. Characterization of supramolecular Polyphenol-Chromium(III) Clusters by Molecular Dynamics Simulations Atomic spectrometry techniques (Atomic Absorption Spectrometry, Atomic Fluorescence Spectrometry); liquid chromatography (LC); hyphenated techniques (LC-AFS); development of analytical methods; protein analysis. Flow Injection Analysis, surface tension measurements, polymer and protein surface activity, process analysis. Molecular fluorescence and Trp phosphorescence spectroscopy, analysis of protein dynamic Spectroscopic techniques (Fourier Transform Infrared Spectroscopy, Circular Dichroism, UV/Visible spectroscopy, NMR spectroscopy), protein conformational analysis. Electrochemistry (Differential Pulse Polarography and Voltammetry). Development of analytical methods for the analysis of nitrosothiols and nitrosoproteins in biological fluids by chemical derivatization techniques and enzymatic reactions. Conformational analysis of proteins by Fourier Transform Infrared Spectroscopy (FTIR). Associated beneficiary: Biokimica Spa Biokimica is a member of Biokimica Group leader in formulation and synthesis of chemical products for leather industry; Biokimica is specialized in formulation’s development for wet-end leather process (beamhouse, tanning, dying, fat-liquoring, etc), in matching of leather dyes and formulations of chemical products for industrial leather cleaning. 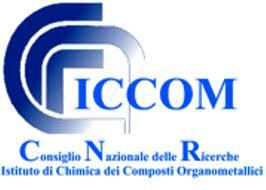 Biokimica , in cooperation with its sister company, develop also chemical and physical analysis on treated leather. INESCOP, Associated beneficiary: Asociación de Investigación para la industria del calzado INESCOP Technological Institute for Footwear and Related Industries is an independent organisation of scientific-technical services aimed at companies in the footwear sector and related industries like tannery’s sector. The activities carried out by INESCOP concentrate on satisfying the needs of the industries in these sectors, with regards to the carrying out of tests, quality control, studies of materials, the development and implantation of new technologies, training, information and documentation, the Environment, industrial design, fashion and applied investigation. Specifically, the Environmental Department at INESCOP develops different activities within the environmental field offering it’s services with the aim to provide a comprehensive solution to companies in the footwear sector and similar sectors: Environmental Management Systems, Clean Tanning Technologies, atmospheric and noise emissions, Ecological Labelling, sewage, industrial waste and training for the companies. In short, INESCOP has wide experience on the study of environmentally-friendly tanning technologies as well as the development of innovative leather tanning processes, in addition to having different pilot installations available aimed at the technical and environmental improvement of leather tannin processes. Likewise, the Environmental Department at INESCOP has participated in several projects as much in investigation and development as in the introduction of new technologies both at a national and international level. Associated beneficiary: SERICHIM Srl SERICHIM is a chemical Contract Research Organisation operating in Italy. It is specialized in developing chemical synthetic methods devoted to the fine chemical productions. SERICHIM is able to offer services in the fields of organic synthesis and analytical characterization to chemical and pharmaceutical industries. Based in Friuli (Northern Italy), inside the Industrial Park of Torviscosa, SERICHIM has proved to be able to work on a global scale and become a reliable partner for worldwide companies. SERICHIM employs 26 people, most of them having a degree in chemistry. 14 people have an university degree in Chemistry, Industrial Chemistry or Chemical & Pharmaceutical Technologies; the other ones have a Bachelor degree as Chemical Technicians. Most people have a 10 year experience in chemical research and in the small scale organic preparations. People age ranges from 30 to 40 years. Laboratories: 800 m2 R&D Laboratories, 34 fume hoods, Computerized parallel synthesis platform, Reaction Calorimeter, Kilolab Reactors and Unit Operations apparatuses. Analytical Apparatuses: 1 NMR 400 Mhz, 2 GC-MS, 1 HPLC-MS, 1 GC-FTIR, 1 HSGC, 8 GC, 6 HPLC, 2 FTIR (one with optical probe), 1 UV-Vis, 1 TLC scanner, 1 DSC. Pilot plant: up to 500 l capacity reactors. Degree of involvement and expertise in the field – Serichim Srl was created as spin-off of the R&D labs of the SNIA/Caffaro group and, as such, worked for more than 30 years as support of the company that was one of the European leader in the production of chlorinated additives for leather treatment formulation. Serichim was responsible of the organic synthesis and process development of the company and now, as independent CRO, is supporting the R&D labs of many industrial partners. Associated beneficiary: Chemical Department “Ugo Schiff” – Florence University Being the result of merging between the former Chemistry and Organic Chemistry Departments, the Chemistry Department “Ugo Schiff” ranks among the largest University Departments. Presently, the academic staff consists of more than 90 scientists. The academic interests are distributed over a high number of chemical areas among which: Biological Chemistry Electrochemistry Environmental Chemistry Material Science Medicinal Chemistry / Drug Design and Synthesis Molecular Spectroscopy Nanosystem Chemistry Polymer Chemistry Science for Cultural Heritage Structural Chemistry Supramolecular Chemistry Synthetic Chemistry Theoretical and Computational Chemistry The Chemistry Department is equipped with modern laboratory and computational instrumentation and upto- date experimental apparatus. The combination of expertise and scientific knowledge makes the Chemistry Department a center of excellence of the University of Florence. In the 2010 year the Department of Chemistry has been granted of more than 2,000,000 euros as financial support for research, including funding from the European Research Council. A strong collaboration has been also developed with private firms, resulting in large financial revenues. Several academics of the Chemistry Department have been acknowledged with national and international awards during the last years, thus testifying the high quality of the scientific results obtained in this Department.